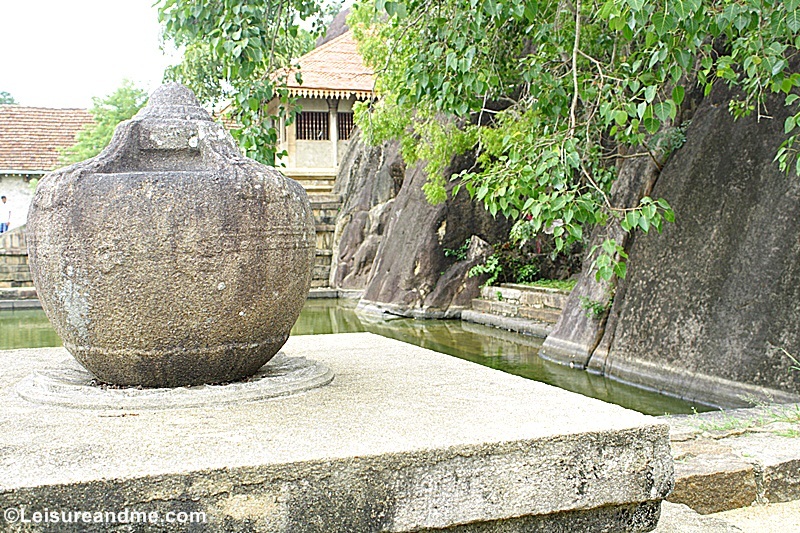 Anuradhapura, which is one of the must visit cities in Sri Lanka is full of historical attractions. Anuradhapura as one of the ancient kingdoms of Sri Lanka own lot of heritage sites to show you how Sri Lanka was in the ancient times. 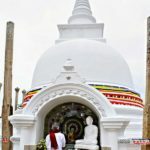 Together with influences of Buddhism, Anuradhapura has to offer lot more information about its history, culture and traditions that was existed in Sri Lanka before thousand years ago. 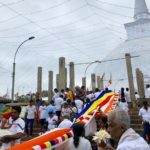 As one of the pilgrimage destinations for Sri Lankans, Anuradhapura is full of Buddhist temples which any visitor to Anuradhapura must have a look. 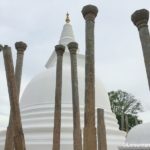 In this post, I want to share some of the must visit attractions in Anuradhapura which can complete your holiday to Sri Lanka. Once you visit these places, I am sure you’ll be amazed with the rich history, heritage and culture which Sri Lanka owns! 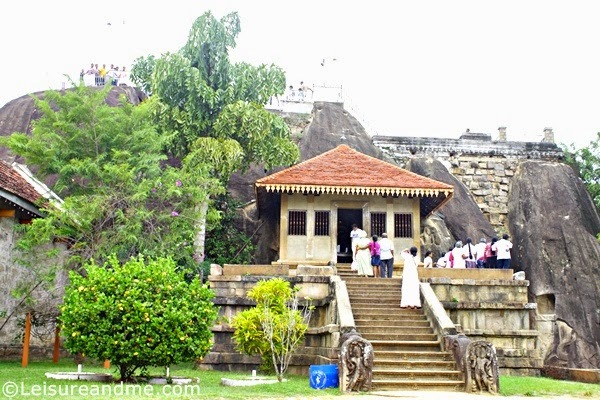 Built by king Dutugamunu in 140 B.C., this is one of the sacred places for Buddhists in Sri Lanka and all over the world. 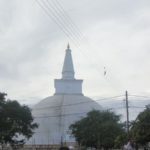 Also known as Rathnamali Dagaba,Swarnamali Chaithyaya or Ruwanwali Saya, this stupa (monument) is one of the must visit attractions in Anuradhapura. Usually it is best to visit in the evening as day time it can be really hot in the surrounding. Remember to remove your shoes before entering to the temple premises. Also you need to wear appropriate clothes when you enter into the Ruwanweliseya premises. Once you visit the Ruwanwelisaya, the next must visit location is Jaya Sri Maha Bodhi tree which is located in walking distance to Ruwanweliseya. As the oldest historically sacred tree in the world, Jaya Sri Maha Bodhi tree is a branch from the Bodhi tree of Buddha Gaya, India which Lord Buddha was enlightened. When you walk to the Sri Maha Bodhi tree, from Ruwanwelisaya, you will find another historical building on the left side of you. This is called Lowamahapaya. 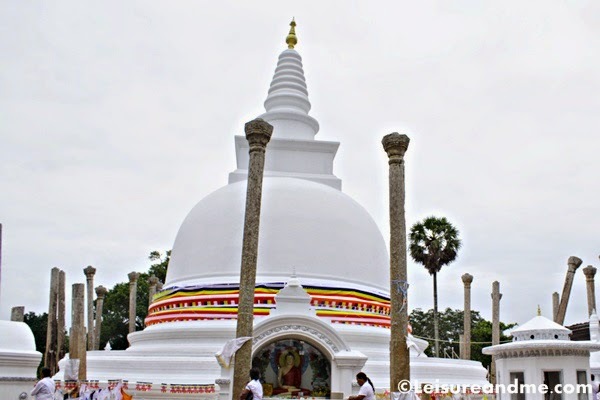 Read More about our travel post to Lowamahapaya Anuradhapura. Mirisawetiya is another sacred Buddhist place which is also one of the ‘Atamasthana’ which every Buddhists like to visit in their lifetime. This stupa is also built by the king Dutugamunu after defeating the king Elara. 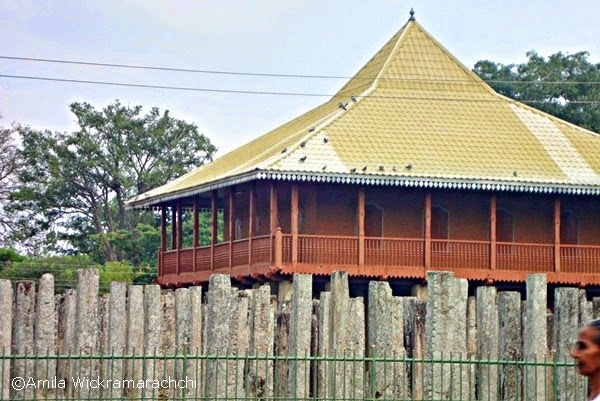 As the first dagaba built in Sri Lanka after introducing the Buddhism, Thuparamaya was built by the king Dewanampiyathissa in the 3rd century BC. 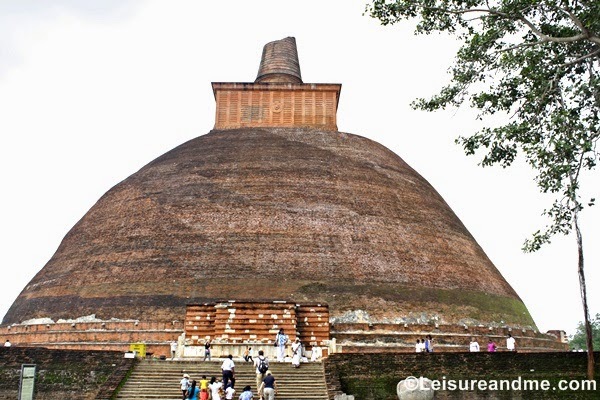 Thuparamaya is also considered as the oldest dagaba in Sri Lanka which is another must visit place in Anuradhapura. The Jethwanaramaya is another stupa in Anuradhapura which is another must visit heritage site of Anuradhapura, Sri Lanka. Historical records say Jethawanaramaya was built by the king Mahasena as a stupa in the Jethawana Monastery. Once you visit this sacred place, you will be sure amazed with the historical architecture and culture! Although Isurumuniya temple is famous for the ‘Isurumuniya Lovers’ sculpture, you will be amazed with the beautiful views of this temple. After visiting above mentioned places in Anuradhapura, I found this Isurumuniya viharaya as a different place. 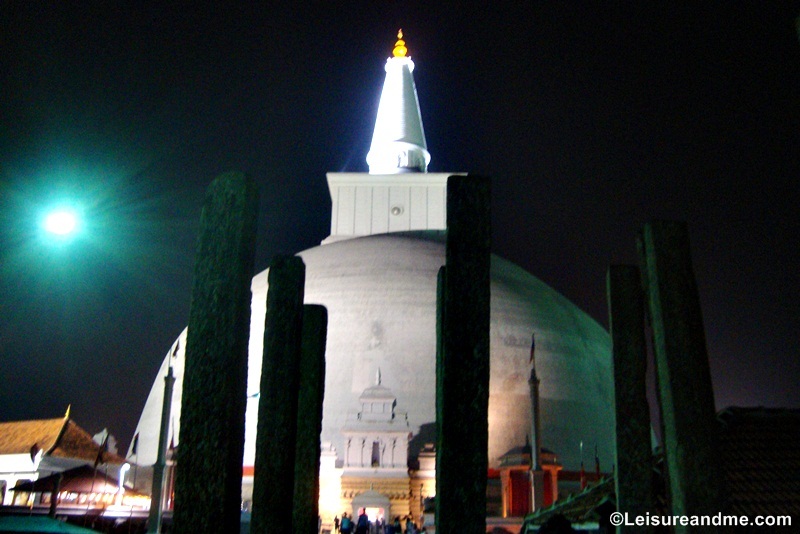 It is different from other attractions in Anuradhapura in view and in location. It is a rock temple located in a calm environment. Don’t forget to visit Isuruminiya viharaya and also the museum next to it in your holiday in Anuradhapura in Sri Lanka as this is one of the best places to visit. Read more about our trip to Isurumuniya Vihara. 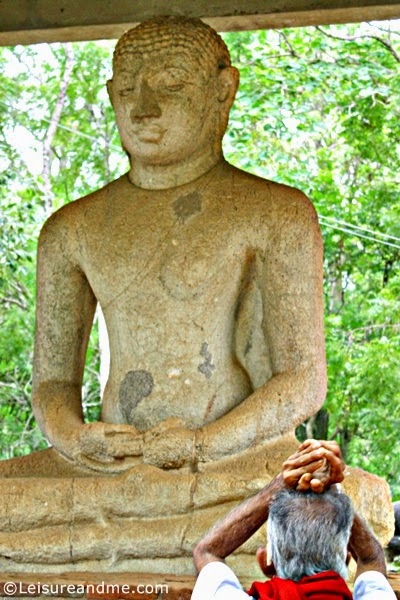 Situated in Mahamevnawa in Anuradhapura, Samadhi Buddha statue is a Buddhist sacred place which you need to visit in Sri Lanka. Peaceful environment, historical background and Dhyana Mudra meditation posture of Buddha statue will make you calm and relax. You will never regret of your visit here for your entire lifetime. Next to Samadhi Pilimaya, you will see the views of Abhayagiriya. It is another Buddhist temple complex. Abhayagiriya viharaya is one of the ‘Atamasthana’ you must visit in Anuradhapura Sri Lanka in order to complete your satisfaction in holiday in Sri Lanka. 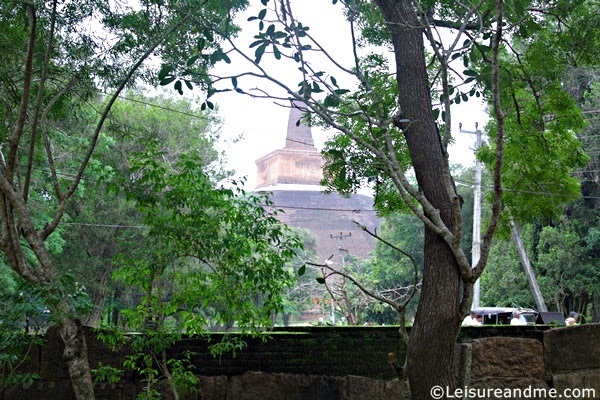 There are many other places and attractions in Anuradhapura, Sri Lanka including Lankaramaya. As one of the UNESCO heritage sites of Sri Lanka, you’ll be amazed with views and attractions which you visit. Truly you will have a cultural and heritage tour which adds value for your Sri Lanka holiday. 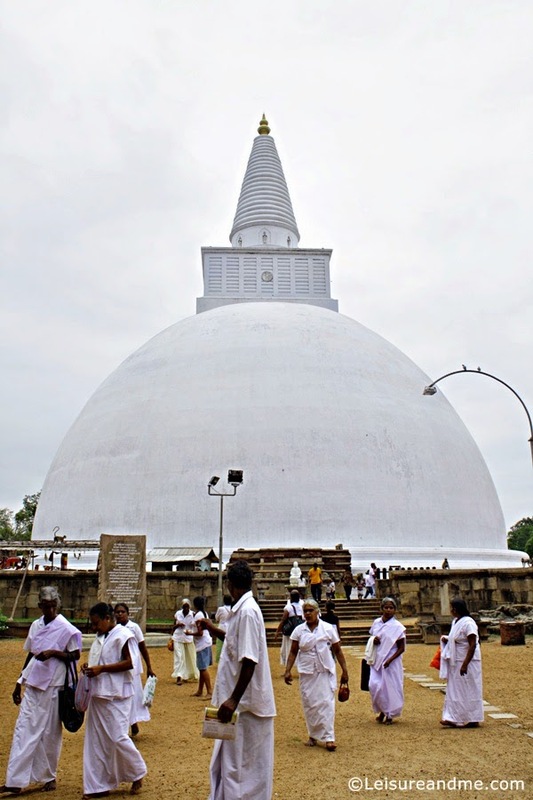 Above mentioned Anuradhapura attractions are Buddhist religious places. Therefore, always follow the steps not to disturb the others. Some of the places are full of Buddhist devotees who are participating in Buddhist meditation and other activities. You may need to stay silent or not to disturb them. Also remember to wear appropriate clothes which are long below the knees. You can offer flowers and oil lamps. Usually it is easy to buy such offerings from the stalls near the temples. Help locals by purchasing small things, offerings or souvenirs from them. This is not a must. But it will be always helpful if you support the locals of the area. Here are more helpful tips about visiting temples in Sri Lanka. As there are hotels and restaurants available, you will not find difficult to find food of your choice. However, you can also try Sri Lankan food in Anuradhapura. There are various places which you can try Rice and Curry together with other Sri Lankan food. Along the way to Anuradhapura, you will also find people selling fresh fruits in small stalls along the road. There are many types of accommodation available in Anuradhapura. However it is better to book before you reach there. We visited there as a pilgrimage tour, family trip. So, we rented whole house as it is the best way to spend with family and relatives. There are also hotels available in Anuradhapura from Budget hotels to Luxury hotels. You can check these hotels in Anuradhapura and book before you reach there. Remember, Anuradhapura is usually crowded on Full moon poya days. It is better to avoid such dates if your travel plan is flexible. Hope you had great time in Sri Lanka.Anuradhapura is great for those who love historical places.Hope you’ll visit again soon. Sri Lanka has been on my radar for a while now, but somehow it always gets bumped in favor of another destination. I’ll have to get there someday. 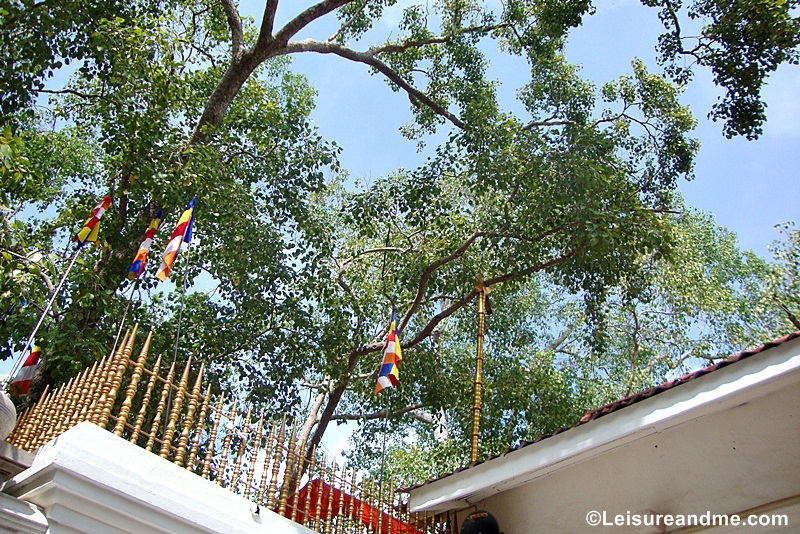 I wonder how the Jaya Sri Maha Bodhi tree branch was brought from India. It must not have been easy. Sri Lanka is a beautiful country and hope you’ll visit there one day!There are legends about bringing Jaya Sri Maha Bodhi tree from India. yes,in Sri Lanka there are many places to visit.Anuradhapura is just one district only.Hope you’ll visit Sri Lanka one day! Such a gorgeous place, we loved Anuradhapura! There are monkeys, too….always a highlight. yes,there are monkey around.Glad to know that you’ve visited there. Glad to hear that you had nice experience in Sri Lanka.Yes,there are many cultural sites in Sri Lanka.Anuradhapura is just one district only. We traveled as a family to Sri Lanka when I was a child of about 11 years. It was most impressive as I saw for the first time huge amounts of begging children. I felt so bad as a spoiled girl having it all. That was in the end of the 70′, before the war. How is it nowadays with the begging? Strangely I didn’t see children begging in Thailand that much. Actually still there are beggars,but I guess now there are no much.Anyway,for some people,it is a job.They continue begging although government take actions to stop them. 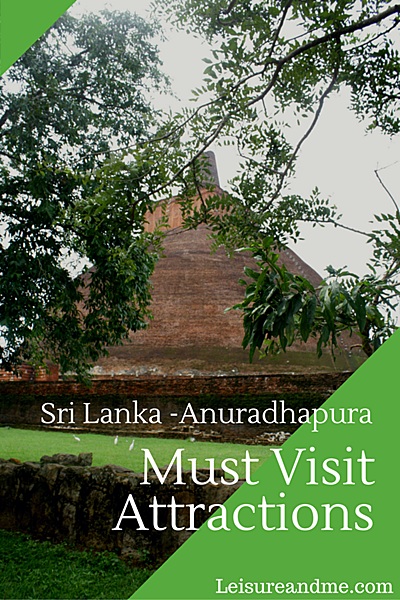 Lovely list of must-visit sites in the ancient city of Anuradhapura. The more I read about Sri Lanka, the more I want to visit. Thanks for sharing these attractions! These places seem so beautiful. Totally looking forward to going there. ? Hope you’ll visit Sri Lanka one day! I’ve never really thought to travel to Sri Lanka but I must say after reading your post I’m having second thoughts! Jethwanaramaya looks so intriguing along with the alternative food options! Thank you so much for your in-depth post! I’ve book-marked it as a possible (next) travel destination! The place really looks exquisite and oozing with so much culture. Staring at the photos is quite relaxing. Sri Lanka is such a beautiful country to go to. Youve given us a beautiful picture of Sri Lanka. Havent been there but contemplating on considering to include it on my bucket list. Love to see different structures and architectures. Thanks as well on the tip re rice and curry. Would love to sample that. 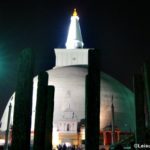 I have never visited Sri Lanka before but if I do I will make sure to include Anuradhapura on my list of places to see. It’s incredible how many sacred temples are here and how much Buddhist culture. It definitely looks like a sacred place full of culture. It reminds me a little bit of Varanasi, in India, where I visited a stupa and a bhodi tree as well. I’ve never been to Sri Lanka but it’s definitely on my list of places to visit. That building (Lowamahapaya) looks so nice with the balcony on the 2nd floor. I really love it. You get to see the view from all angles of the house. Hope you will visit Sri Lanka one day! Wow, I’m seeing unique and amazing building structures from this blog post. I’ve never been to Sri Lanka yet, but I’m planning to visit it soon. I will surely pen all these attractions in my bucket list for a future reference. I like how you captured all your photos as it rhyme to your words. 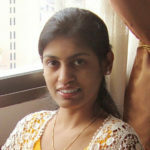 Thanks for the comment.I am glad that you like the post.And ,I hope you’ll visit Sri Lanka soon! I am not familiar with Sri Lanka and wasn’t really interested in the place until I saw this. There’s more in their country than the regular information in history books. I want to see their culture and places personally. and have a hands-on experience on the place. Now, I am learning to appreciate more the beauty and tradition of such places. It’s my first time to read a review about Sri Lanka and I can say, there are more things to learn from this place! It’s nice to read an honest review about the place. I love how you tell everything in detail. Knowing the Anuradhapura comes with solemn temples, it’s quite difficult to visit there bringing kids, perhaps. Anyhoo, I find the place really interesting! Wow~ Those attractions are beautiful! I wish my family and I could get to visit Sri Lanka and if we ever do I will sure to suggest that we go here in Anuradhapura. 🙂 Thank you so much for sharing! What beautiful pictures. I have heard of the wonders of Sri Lanka. I will have to put that on my list of dream destinations. Sri Lanka is a beautiful destination.You will sure love it! 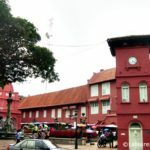 I don’t see a lot of blog posts about Sri Lanka. This surely is refreshing. It looks very cultural as reflected by the architecture. I hope to see it in person… I’d love to wander around these streets!